Before my marriage I made a patchwork quilt for my prospective father-in-law. 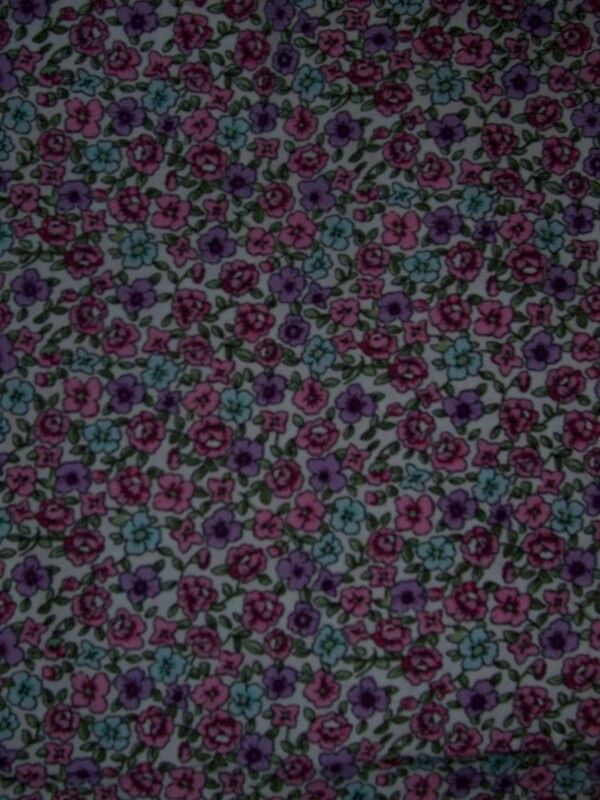 Some of the leftover fabrics have been loitering in my stash. 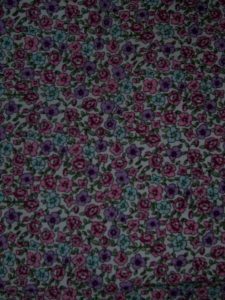 This charming ditsy floral print in pink, aqua and lilac on a white background has finally made it to the top of the pile. Bearing in mind my recent disappointment with Simplicity 1080 I hesitated to cut into one of my newer lengths of fabrics and decided that now would be a good opportunity to use up some of my stash. 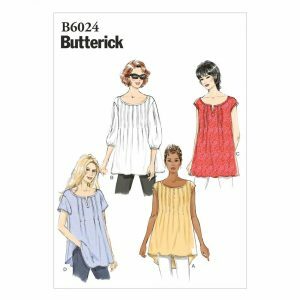 Butterick B6024 is a tunic top with lots of tucks. There are two versions of the number of tucks in the front and three different sleeve options. 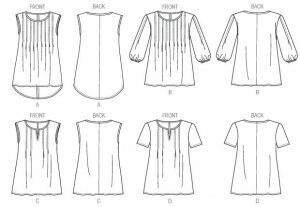 I elected to make view D but with the shaped back hemline featured in view A. I had in the back of my mind that if the tunic did not work out for day wear then it would be possible to convert to nightwear. I cut the Large size for the shoulders, neckline and armholes then graded out to XL for the tummy and hips. 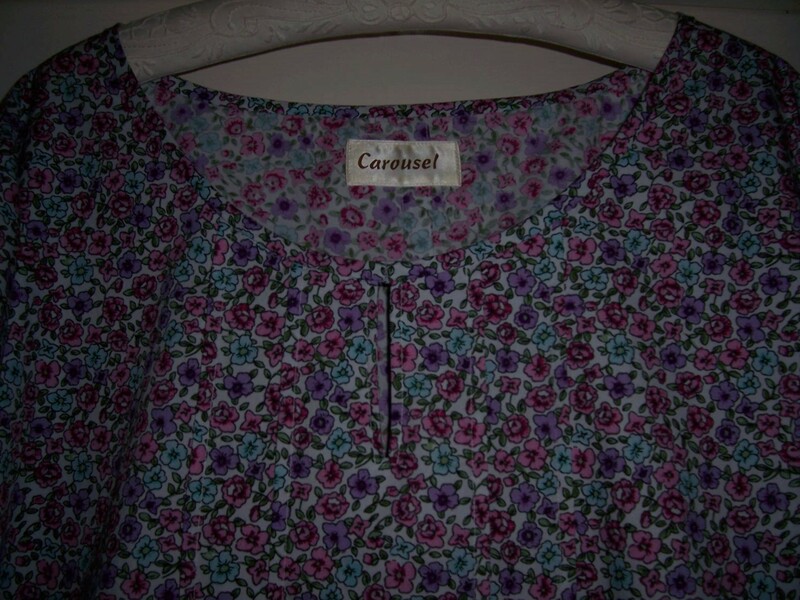 As it turned out, I could have kept to the Large cutting lines as the tunic is generous in size. The construction was fairly straightforward other than the fact that to begin with I pinned all the tucks the wrong way around but that was soon corrected. 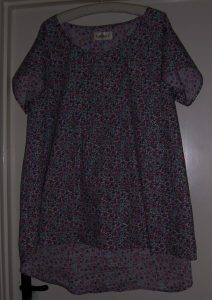 I used flat fell seam finishes so that should the tunic end up as nightwear there will be no uncomfortable lumps and bumps at the seams. 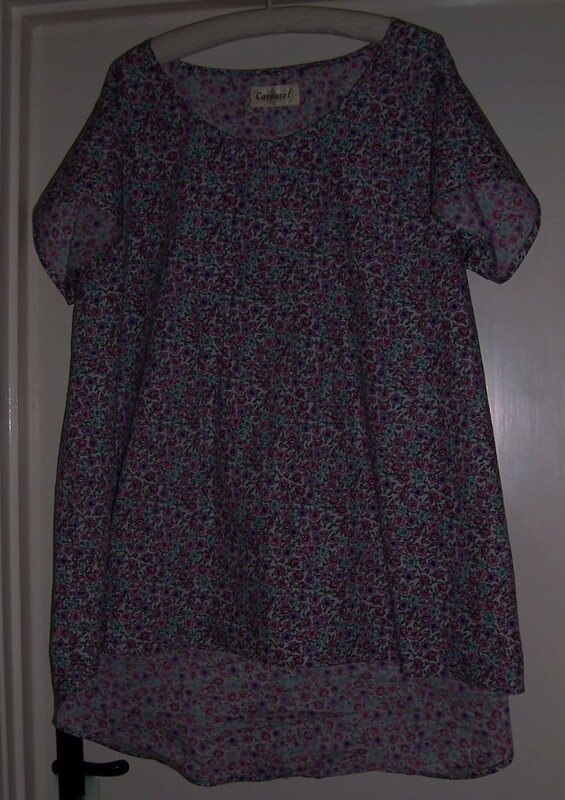 I have the slit in the neckline but have tacked the top edges together to stop them “flapping” about. 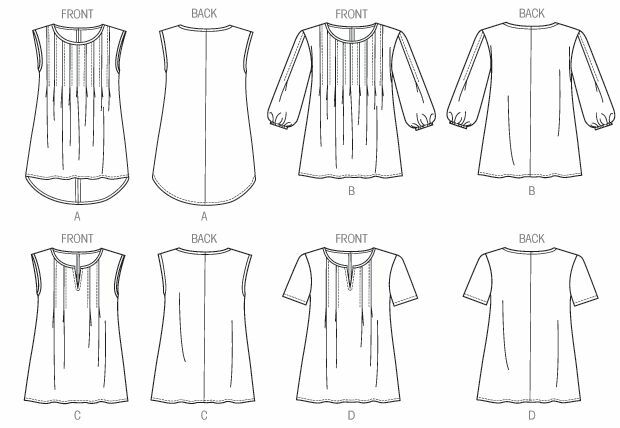 If I make the tunic again, I will omit the centre front slit and change the sewing order for the neckline binding so that it is first stitched to the WRONG side before flipping to the Right side for top stitching in place thus avoiding ANY hand sewing in the construction of the tunic! 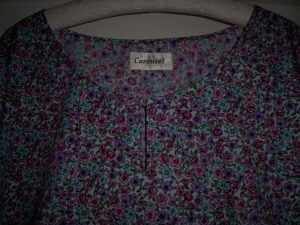 In hindsight I am not particularly keep on the extra long shaped back hemline and so this may be changed back to a level hem – but as my regular readers will know, I “do not do alterations” so this may never get done now that the garment is completed.